It’s never been easier to toast with a locally-made Maryland spirit. 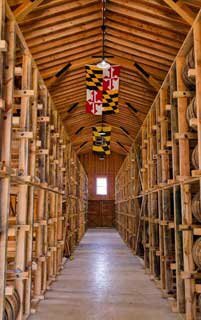 As a state with one of the fastest-growing rates of distilleries, Maryland is home to more than two dozen unique companies that exceed the expectations of even the most critical palettes. We’re excited to celebrate these innovative artisans during November as part of Maryland Spirits Month. Get in the spirit and check out some of these award-winning liquors with Maryland roots for your next holiday gathering. Located in charming St. Michaels, Lyon Distilling prides itself on offering a signature line of rums that pay tribute to the rich traditions of the Eastern Shore. Signature Drink: The Chesapeake Stormy – made with Lyon’s flagship Dark Rum and spicy ginger beer – perfect for everyone who sails into our harbor! Springfield Manor in Thurmont offers farm to glass spirits including rye whiskey, bourbon, rum, vodka, grappa, brandy, and gin. Add all ingredients to an ice filled shaker. Shake vigorously and strain into a glass which can be rimmed with lavender sugar & garnished with 2 springs of fresh lavender, a lemon twist, or a small piece of honeycomb. MISCellaneous Distillery, in Mount Airy, offers an award-winning range of rums and whiskeys as well as vodka and gin. The company hosts tours at their Main Street tasting room and boasts a strong relationship with local Carroll County farms and businesses to craft their products. Signature Drink: A simple daiquiri using MISCellaneous’ Risky Rum, which took home the gold medal in 2018 at the San Francisco World Spirits Competition. 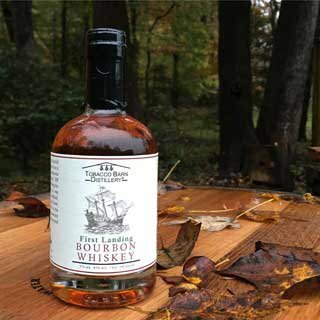 Located in St. Mary’s County, Tobacco Barn Distillery pays tribute to the Southern Maryland region’s long history of spirits production with their environmentally-friendly whiskies, bourbons, and rums. For more information about Maryland Spirits Month, go to VisitMaryland.org. Read even more #BuyLocalMD suggestions here.